Tirunesh Dibaba will return to British road race action on Sunday (October 23) when she makes her 10-mile debut at the Great South Run. 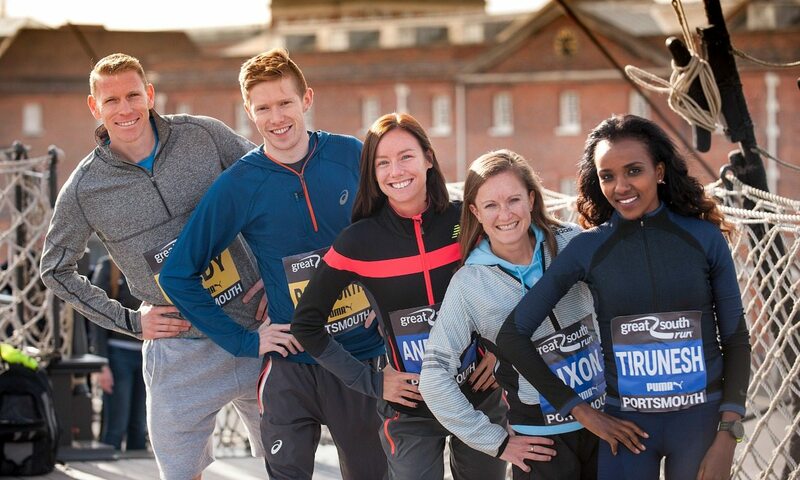 The three-time Olympic gold medallist heads entries for the world’s leading 10-mile run, which will see her take on a largely domestic field over a course which starts and finishes in Southsea and goes through Portsmouth’s Historic Dockyard. The Ethiopian finished third in last month’s Great North Run half-marathon in 68:04 and also won the Great Manchester Run 10km in May in 31:16 on her return to racing following the birth of her first child, but she was forced to withdraw from the Great Scottish Run earlier this month with a calf strain. “This will be my first 10-mile so it’s going to be a challenging race for me,” said the 31-year-old, who claimed Olympic 10,000m bronze in Rio this summer after her 5000m and 10,000m gold medals from 2008 and her 10,000m victory in 2012. Dibaba’s half-marathon best of 66:56 was run at the Great North Run in 2013, while she clocked 46:28 for 15km, which was then a world best, in 2009. Her biggest challenger looks set to be her fellow Ethiopian Senbere Teferi, the world 5000m silver medallist who finished fifth at the Rio Olympics. European half-marathon silver medallist Veronica Inglese of Italy and Elizeba Cherono of Netherlands, who won last weekend’s Great Birmingham Run, will be looking for further road race success. British 10,000m champion Jess Andrews and her fellow Rio Olympians Beth Potter and Alyson Dixon are among those racing, as are 2014 Euro Cross champion Gemma Steel, Georgie Bruinvels and Lily Partridge. Like Cherono, both Andy Vernon and Chris Thompson are fresh from the Great Birmingham Run where they finished first and second respectively and they will battle once again on the roads of Portsmouth. “I’ve surprisingly recovered quite well, which is good,” Vernon said after his 63:32 half-marathon win. “My legs are feeling fresh. “That was the first win I’ve had in over a year so it was good to get back to winning ways and hopefully I can carry that on this weekend,” he added. The British Olympians face domestic opposition in the shape of Scott Overall and Paul Martelletti, with USA’s Jeffrey Eggleston and Ireland’s Paul Pollock providing the main overseas interest. In the past the flat course has been graced by athletes such as Paula Radcliffe, Liz McColgan and Mo Farah, who won the men’s race in 2009. Around 25,000 people will take part in four events across two days of action, with the Junior & Mini Great South Run and Great South Run 5k all taking place on Saturday. Among those in 5km action will be Britain’s Tom Bosworth, who drops down in distance after having placed sixth in the Olympic 20km race walk in Rio for the highest finish by a British athlete since 1972, improving his own UK record in the process. In a novel race walk vs run challenge, any runner who beats Bosworth’s time on Saturday will be rewarded with a free entry into next year’s Great South Run 5k. “My PB is 18:54 but it’s October so I’m not in that shape,” Bosworth explained. “I’d still hope to go 20-21 minutes tomorrow,” he added.